SecuROM 7 DRM. Russian copies use StarForce 4 DRM[Note 1]. Available for free. See Map Pack. All the patches for the game can be found here. The only official map pack for the game, it includes all the content from the Xbox 360/PlayStation 3 DLCs ("Player's Pack Red Edition" and "Player's Pack Black Edition", 10 maps total). It can be downloaded from PCGamingWiki. 16:10 resolutions not supported natively. Use the resolution patcher. 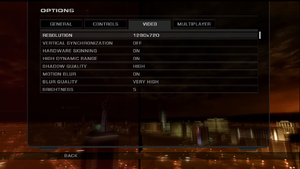 HUD is for 4:3 resolution regardless of setting. 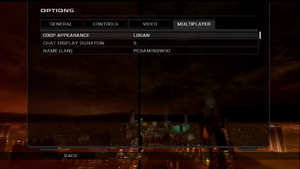 See HUD is in the 4:3 middle of the screen on wide resolutions. Not natively supported. See instructions on Widescreen Gaming Forum. Some animations are tied to frame rate; characters may twitch unnaturally when idle at high frame rates. Search and change LevelOfAnisotropy=4 to desired value. ↵ Enter cannot be bound to commands. Mouse wheel scrolling does nothing and cannot be bound to commands. 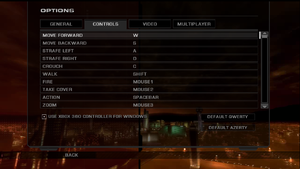 The game always uses the modified bullet collision data adopted for the mouse aim accuracy, see "Issues fixed" section to revert the game to the Xbox 360 version behaviour. One time prompt to enable controller support, which cannot be answered with a controller. Official localization by «Руссобит-М» – local retail only. The game will not start through the launcher on some systems. Open "runme.dat" in a text editor. 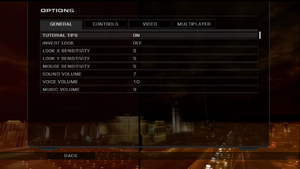 The widescreen HUD in the fix is a leftover file from the Xbox 360 version and it causes the bugged cover sniper aim along with the UI shift to the left when used. The game uses the modified bullet collision config adopted for the pinpoint mouse aim accuracy even when the controller is active. No actual gameplay benefits with restoring it when you don't play the game with the gamepad. Download the file and make sure to retain its original name and extension. 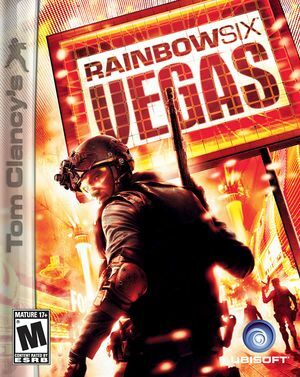 Go to <path-to-game>\Rainbow Six Vegas\KellerGame\Config\PC\ folder. Backup your original "KellerWeaponsConfig.ini" file and place the new one instead of it. ↑ 3.0 3.1 File/folder structure within this directory reflects the path(s) listed for Windows and/or Steam game data (use Wine regedit to access Windows registry paths). Games with Steam Cloud support may store data in ~/.steam/steam/userdata/<user-id>/13540/ in addition to or instead of this directory. The app ID (13540) may differ in some cases. Treat backslashes as forward slashes. See the glossary page for details.